The leading independent specialist for windscreen replacement and windscreen repair based in Telford and serving all of the Telford area. National Windscreens Telford fitting centre provides windscreen replacement and windscreen repair services to businesses and individuals throughout Telford and the Telford area. The town of Telford is a relatively new one in the county of Shropshire. 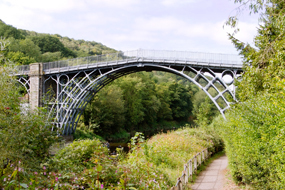 Telford itself sits on the M54, 13 miles east of Shrewsbury and 30 miles west of Birmingham. At the heart of Telford and surrounded by tall glossy buildings, is the largest and best shopping centre in all of Shropshire. It is open seven days a week with parking available for up to 4000 cars at any one time. Additionally many events are held at the Telford International Centre which is the sixth largest exhibition centre in the UK. The Telford windscreen fitting centre and its mobile vehicle glass technicians service the needs of Telford and the surrounding area including Shrewsbury, Much Wenlock, Newtown and Market Drayton. With 108 fitting centres and over 800 mobile technicians, National Windscreens operates the UK's largest windscreen repair and windscreen replacement network. The company provides low cost, high quality windscreen replacement and windscreen repair from its Telford fitting centre 24 hours a day, 7 days a week, 365 days a year. Repair and replacement of all types of vehicle glass including windscreens, rear windows and side windows is undertaken throughout Telford and all of the Telford area.